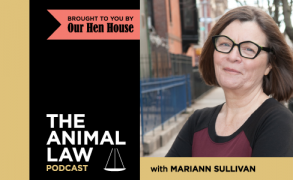 Join Animal Law professor and longtime activist Mariann Sullivan as she unpacks the latest updates, cases, and news from the burgeoning world of animal law. 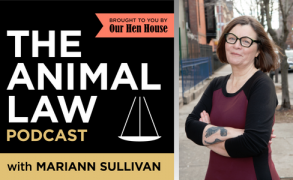 Mariann will be joined by the leaders in the field, and will offer her own insightful (and sometimes biting) commentary. In addition to listening online, you can subscribe to the podcast on iTunes, Stitcher and grab the RSS Feed for android apps.